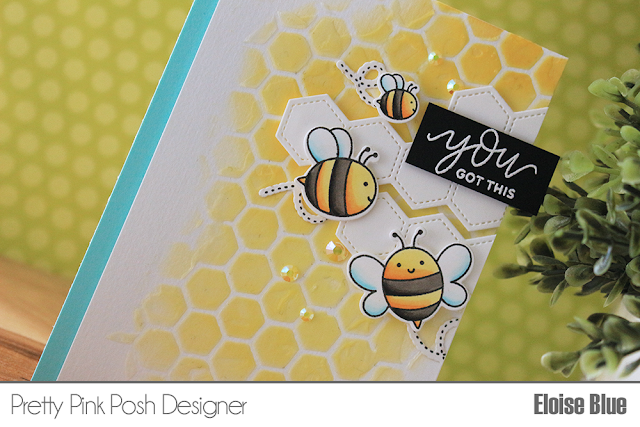 Hi everyone, I'm over on the Pretty Pink Posh YouTube channel and blog today using the Bee Friends stamp set along with the Stacked Edges 2 Dies and Encouraging Greetings stamp set also. The video is also linked down below or you can head over to the blog to see how I made this card. Thanks so much for stopping by and I'll catch you next time.